Some years back, I was doing my best to explain some relationship dynamics to someone close to me. No matter how many ways I tried to convey the information, she wasn’t getting it. I was convinced that if I could just find a better way to articulate the issue that the light would go on and she would understand. Finally, after yet another frustrating discussion, it dawned on me that the quality of my communication skills was irrelevant. I reluctantly had to accept that, for whatever reason, her take on the matter was entrenched, and even though it was counterproductive to us having a good relationship, I was powerless to do anything about it. In an earlier post, I wrote about how my friend Melanie was forced to give up the expectation that her parents would someday be capable of the kind of relationship she longed to have with them. When she finally realized that they weren’t capable of having the kind of mature, healthy relationship with her that she so desperately wanted, she had to grieve the loss of the idealized relationship she had clung to for so long. Chogyam Trungpa said that voices of praise and blame are equivalent to barking dogs. My dog would bark his head off and come off as completely ridiculous all the time. I didn’t love him any less and I didn’t decrease my time around him. It was just something he did and I didn’t take it personally. Expectations are the reason for surprise. I’ve expected my parents to behave a certain way and been crushed that they didn’t. Time to let go. Well said, Melanie. The barking dogs analogy is a good one and one that also applies to dealing with irrational relatives. At some point you have to accept that you cannot change a relationship with someone who does not want to change or is incapable of change. All you can do is let go, love the person for who they are and allow the relationship to run its course. 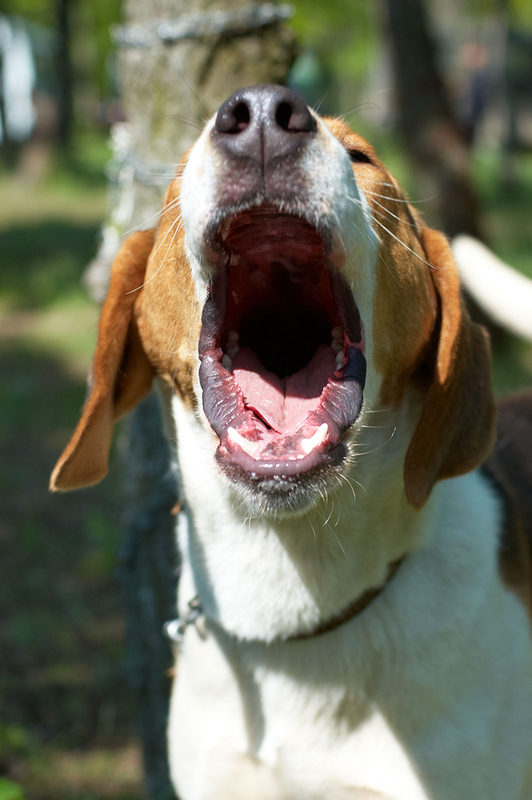 Yes, the barking may get on your nerves from time to time, but after all, it’s only barking. Click here to view all my posts about relationships. This entry was posted on November 12, 2010 at 10:31 AM and is filed under See INDEX categories above. You can follow any responses to this entry through the RSS 2.0 feed. You can leave a response, or trackback from your own site. I would just like to offer my take on one sentence; “At some point you have to accept that you cannot change someone who does not want to change or is incapable of change.” to “At some point you have to accept that you cannot change someone else.” That, my friend, is a most freeing realization. Yeppers, That it is, Lori. The challenge is to let go of that hope even when you realize that to do so means the end of all you had hoped for. I would also contend that some relationships are worth trying to change because of what’s at stake. At the same time, you have to be willing to recognize and accept when you hit the wall. Ah, but now you have shifted the conversation from changing “someone” to changing “some relationships”. A different concept entirely. It sounds like Melanie did exactly that, and found peace. Good point, Lori. I revised the last paragraph a bit to reflect this distinction. Of course, the only way to change a relationship sometimes is to try to get the other person to see things a different way. If they cannot or will not change the way they’re looking at things, the relationship will likely end or stall out. Yes, the person wanting the relationship to change could also try changing but I am assuming here that the instigator sees things from a higher point of view than the person who cannot or will not change and that changing to make the relationship “work” would compromise their integrity and sense of who they are. p.s. I loved Melanie’s observation “expectations are the reason for surprise.” Said another way, our attachment to desired outcomes cause us to hit that wall you are talking about. Absolutely. It’s a hard lesson to learn and even harder to practice it. Speaking of barking dogs Phil, we would be at this all day. ;-) I find your polar take on two parties involved interesting. That one party is somehow gifted with a higher point of view, and the other party cannot, will not, or is incapable of the change, change that higher person sees necessary in the other. My guess is both parties often hold that same view of each other simultaneously. Which sounds a lot like ego. Changing to make the relationship work does not always mean compromising integrity, as it did not in the story of Melanie. Quite the opposite is usually true. There are many ways to making it work, and they do not need to involve compromising who you are, or your integrity. She is a wise woman. I loved her story. Thank you for sharing it. You are right, Lori. Compromise is essential in a relationship, except in those rare cases where one person would be compromising their integrity and sense of self by changing. In such cases, the other person is typically viewing the situation from a less enlightened point of view; if they were not, they wouldn’t be wanting their partner to change in a way that would compromise their integrity.